Scott has retired from active litigation, and taken a position as "Of Counsel" to the firm. Scott remains in San Antonio but is most easily reached through the Firm's office in Galveston or email. He continues to assist clients with contract negotiations, and is available for mediations and arbitration as he winds down his litigation practice. Scott has been a litigator, mediator, arbitrator, and contract negotiator. A trial attorney who defended architects, engineers, contractors, land surveyors, real estate brokers, and other professionals throughout the South and Central Texas area during his career, his practice in retirement is focused reviewing and advising design professionals on their design and construction contracts. He has been a frequent speaker at Risk Management Seminars, and teaches the contracts portion of the Professional Practice Leadership Program sponsored by AIA San Antonio. Scott was trained in mediation at the A.A. White Dispute Resolution Center at the University of Houston in 2007. He was formerly Board Certified in Civil Appellate Law since 1990 and Civil Trial Law since 1991. He is a past chair of the San Antonio Bar Association Construction Law Section, having served on the Board from 2007 through 2012. Scott is a native Texan (Grapevine) who has been married to Barbara Tomlin Lyford since September 1966. His interests include travel, home repair, guitar, motorcycles, and gardening. He started his practice in Austin in 1975, and served as an Assistant District Attorney in Travis County from 1979 to 1983. From 1983 to 1985 he was an Assistant Attorney General for the State of Texas. 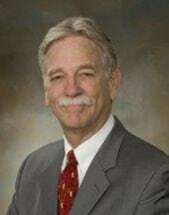 In 1985 he moved to Galveston where he was responsible for the litigation for Galveston County from 1985 until 1993, when he joined Mills Shirley. He opened the San Antonio office of Mills Shirley in 2005. Scott was the trial attorney for the architect in a recent Texas case addressing the duty owed by an architect under the standard form AIA language addressing contract administration duties, Black & Vernooy Architects v. Smith, 346 S.W.3d 877 (Tex. App.-Austin 2011, pet. denied). Other representative appellate cases include Callahan & Associates v. Orangefield Independent School District, 92 S.W.3d 841 (Tex. 2002), and Payne v. City of Galveston, 772 S.W.2d 473 (Tex. App.-Houston [14th Dist.] 1989, writ denied). In 2015 Scott became an Honorary Member of the Texas Society of Architects. He was nominated by the San Antonio Chapter of the AIA for his longtime work with and support of architects.